I have searched and not found any photos (or a thread) that encompasses this subject, so please excuse me if there is a thread. 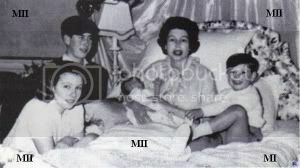 Does anyone have photos of Queen Elizabeth when she was pregnant? I have looked and looked and I can not find any. Did she never gain weight, or was she just carefull about hiding it and not being photgraphed? Please feel free to post pictures of other Queens, when they were pregnant! It seems that photos of these beautiful times of their lives are few and far between if any at all! wow! I never see the queen pregnant before! So, very interesting thread, hope to see more! LOL, I suspect that many of us who have given birth would have chosen that method! These are great! Does anyone have any photos of any of the other older generation of royals pregnant? It seem swe only have photos of the newest generation. HMMMMM..... I will look as well, but please continue to post! Generally speaking the royal ladies kept out of the public eye when they were pregnant enough for it to show. 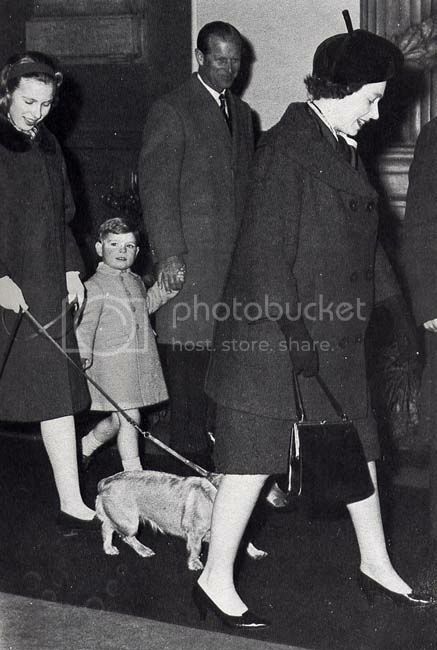 I think Princess Anne was the first royal lady to appear in public while heavily pregnant. Queen Mary was about five months pregnant with Prince Henry when Edward VII was crowned, and the photos of her in her coronation dress with its tight-laced corset didn't look much different from normal. It must not have been good for developing babies when their mothers did that. I seem to remember something along those lines, that it was indecent of well heeled ladies to be in company outside of their immediate family once they LEARNED they were pregnant, so I guess I get the whole not showing your belly bit. Definitely different than we are today! Check out post 2 of this thread. 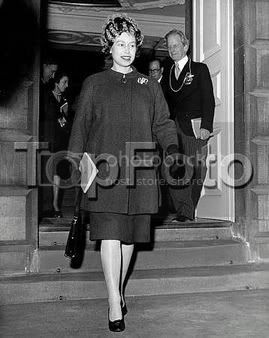 She missed the State Opening of Parliament both times she was pregnant as Queen. Apparently not being out in public with a visible bump was more important than opening Parliament. I'm sure that wouldn't be the case these days. This will be my first post. So, thanks for the photos of the Queen. I've never seen her pregnant either. Indeed, how times have changed! If she'd done that today, there'd be accusations of her snubbing the parliament and all sorts of stupid things like that. I'm sure it's unlikely one would find too many more pregnancy pictures of royals of Her Majesty's generation, let alone earlier generations. Having never had a child, I can only guess at how beautiful an experience it is, but personally I'd rather not see pregnant womens' bellies. I don't mean they shouldn't be seen in public, I'd just rather they covered up more than they do these days. I think society has become a little too relaxed with some things. Source: Taken by HRH the Duke of Edinburgh - now part of my personal collection. WOAH! nice picture. thanks for sharing! Thank you, Margrethe II, for posting and sharing!